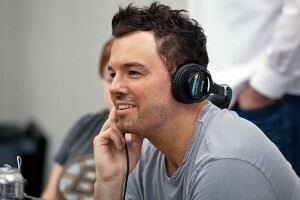 Seth MacFarlane’s Next Project Will Be A Western Comedy!!! Seth MacFarlane is already prepping his next feature film project with ‘A Million Ways to Die in the West’, a western comedy he has been working on with fellow ‘Ted’ co-writers Alex Sulkin and Wellesley Wild. MacFarlane is expected to direct and star in this, which already has an aniticipated relase time of Summer 2013. According to THR, all of the final contracts haven’t been signed, but it’s only a matter of time. The plot is being described in the similar vein of ‘Blazing Saddles’, which is AMAZING, as it is my #1 favorite comedy. I can only imagine MacFarlane’s vision of the wild west. The script has all of the vulgar and hilarious comedy you can expect from MacFarlane and we hear there will be a female lead. Can’t wait to hear more abotu this as I loved ‘Ted‘. Check Out The Hilarious New Trailer for Seth MacFarlane’s New Film, ‘A Million Ways To Die In The West’!! This entry was posted on Tuesday, December 4th, 2012 at 1:18 pm	and is filed under Film, News. You can follow any responses to this entry through the RSS 2.0 feed. You can skip to the end and leave a response. Pinging is currently not allowed. « Check Out the New Screen Shots from the New ‘Tomb Raider’ Game!! !